"Issy Randall, proud owner of the Cupcake Cafe, is in love and couldn't be happier. Her new business is thriving and she is surrounded by close friends, even if her cupcake colleagues Pearl and Caroline aren't quite as upbeat about the upcoming season of snow and merriment. But when her boyfriend Austin is scouted for a possible move to New York, Issy is forced to face up to the prospect of a long-distance romance. And when the Christmas rush at the cafe - with its increased demand for her delectable creations - begins to take its toll, Issy has to decide what she holds most dear. This December, Issy will have to rely on all her reserves of courage, good nature and cinnamon, to make sure everyone has a merry Christmas, one way or another . 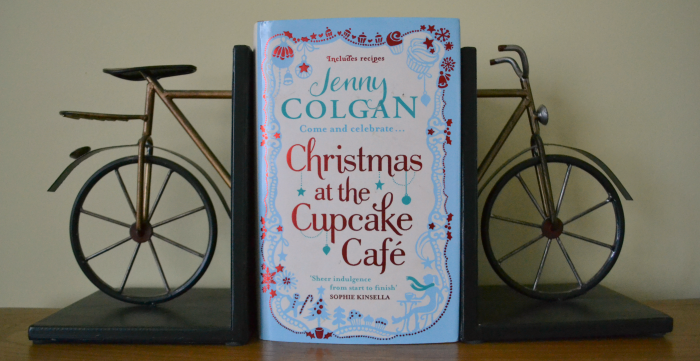 . ."
Hands up who loves Jenny Colgan. Right now I'm waving my one hand about in the air, desperately trying to reach as far up as I can go without lifting my bum out of the seat. Ok, you can all put your hands down now, it's clear we all love her. If however you didn't put your hand up then shame on you, you my little friend will learn! So as promised I have another Christmas book to review. Yes, Christmas is over, but lets not let that stand in the way, it's literature after all and I'll read it in my own time OK!!! Oooh, quite violent there. Anywho, as you may have noticed, I do in fact love Jenny Colgan, I think I have read all of her books, bar of course the very newest ones. It goes without saying that I have loved every single one of them, they are all beautifully written and best of all funny. I do love a an author that can make me laugh, bonus points there. So this book carry's on from "Meet Me at the Cupcake Cafe", you won't need to have read this book as it stands alone as a story by itself, but if you want to love the characters as much as I do, then you should really start off with this one. You know, the beginning is a good place to start. Now I've noticed a trend amongst bloggers, (and I guess most people who read this will fall into that category), that they really love baking. You will love this book. The start of every chapter has a different recipe and they all sound beyond delicious, how perfect is that, a story and a recipe book, my god Jenny Colgan, you my dear have it all covered. The story it's self is just the way I love it, funny, with characters you love and would like as your firends, and best of all it has a happy ending, ahhh bliss. I sat there desperately grabbing at every minute trying to finish this book because I loved it so much; I really just had to know what was going to happen with Issy and Austin, and I'm sure you will to when you read this book. Overall I would definitely recommend this lovely little piece of literature, especially if you want to read something funny that will warm the very cockles of your soul (corny), but like I said maybe grab the prequel first, that way you will own two very nice books and will fully understand whats going on. Go on give it a read, and let me know what you think. Or if you just love Jenny Colgan, shout me a holla down. You can buy the book on Amazon here, and check out Miss Colgan herself here. I'm going to purchase this very soon. I LOVE baking and the current book I'm reading actually revolves around baking haha. This definitely sounds like my kind of thing. 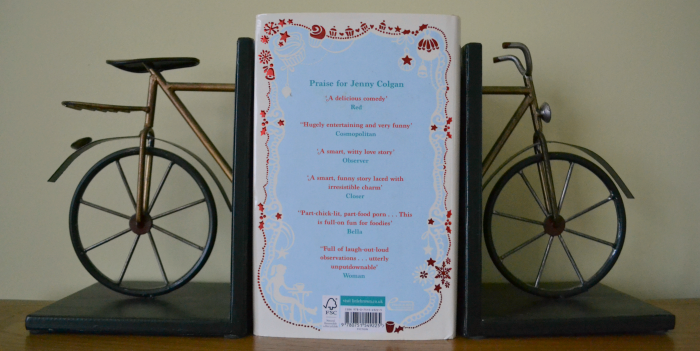 I'm waving my hand too - love a bit of Jenny Colgan. I try and do the odd book review on my blog. I used to write them once a week but now my twitter feed occupies too much of my time so I usually just post once a month in case you're interested.